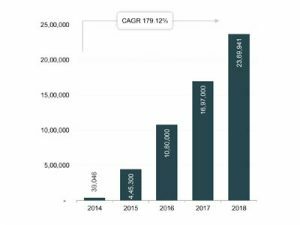 Medical tourism in India by international travellers is expected to grow to USD13.3 bn by 2022, according to a report jointly published by KPMG India and Google. About 1.5 million medical tourists are expected to visit the country in 2022. The medical tourism market in India has grown rapidly over the past decade with India becoming one of the largest global medical tourism hubs. Growth has been driven by a rise in international awareness of India’s affordable healthcare, qualified healthcare professional base, coupled with investment into healthcare infrastructure and privately funded healthcare. Foreign tourist arrivals on medical visas are increasing at a CAGR of 51 per cent. Bangladesh, Afghanistan and Commonwealth of Independent States (CIS) countries are the leading source geographies accounting for more than one-third of visitors. Africa and GCC countries are expected to drive larger inbound volumes in the coming five years. 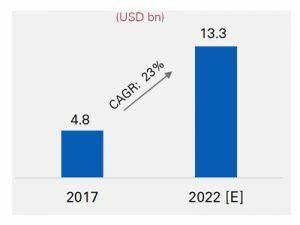 The key growth drivers are alternative medicine (AYUSH), cost competiveness driving medical tourism inflow and quality healthcare and travel options at affordable price points. Indian ayurveda market is growing at approximately 16 per cent CAGR, backed by approximately 1 million traditional medicine doctor base and proactive government promotion. Medical procedures in India cost 70-80 per cent lower compared to average treatment costs in the US. A robust private healthcare sector and budget friendly travel destinations ensure lucrative India travel options for the international tourists. In 2018, 23,69,941 tourists have arrived in India through e-tourist visa, according to a report by India Brand Equity Foundation (IBEF). Tourist arrivals through increased at a CAGR of 251.59 per cent during 2014-17 to reach 1,697,000 tourists in 2017. The government has recently made a series of amendments in the e-visa regime to make it more tourist-friendly. The duration of stay in India of e-tourist and e-business visas is maximum up to one year with multiple entry subject to the stay stipulations. Also, the existing restriction of allowing foreigners for a maximum of three times has also been removed. 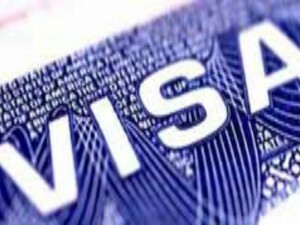 On e-tourist visa, continuous stay during each visit shall not exceed 90 days in case of nationals of all countries who are eligible for grant of e-visa except nationals of USA, UK, Canada and Japan. In case of nationals of USA, UK, Canada and Japan, continuous stay during each visit shall not exceed 180 days. In all cases, no registration will be required. On the changes in e-business visa, continuous stay during each visit shall not exceed 180 days in case of nationals of all countries who are eligible for grant of e-visa. No registration will be required if the stay is for a period of less than 180 days. The e-visa is valid for entry through two more designated airports (Bhubaneswar and Port Blair), raising the total number of such airports to 28. Continuing to improve its rank on the global passport power rank, the Indian passport has become 10 ranks stronger in the last five years improving its position from 77 in 2015 to 67 in 2019. According to the Passport Index 2019, the Indian passport allows visa-free travel to 25 countries while Indians get visa-on-arrival for 39 countries. The country has improved its position by one spot in comparison to last year. In 2018, the Indian passport ranked 68. Indian tourists still need visas to enter 134 countries in the world. The 2019 Passport Index, which ranks passports of 199 countries on the basis on their Visa-Free Score and their ranking on the UNDP human development index has ranked UAE passport as no 1, which allows visa free entry to 113 countries and provides visa-on-arrival facility in 54 nations around the world. Among SAARC nations, India is only behind Maldives, who ranks 51 on the list. Maldivian passport holder can enter 84 countries visa free or with visa-on-arrival facility. VFS Global has witnessed a 22 per cent increase in visa applications from India over a two-year period and processed 5.28 million applications. This was an overall increase of 13 per cent in visa applications observed since 2017 with Tier II cities recording significant increases in 2018. Globally, it saw a 16 per cent increase in the number of visa applications processed in all countries of operation around the world. South Asia emerged as the top source market for foreign travel, with most number of visa applications recorded for this region. 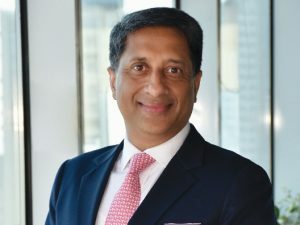 Vinay Malhotra, Regional Group Chief Operating Officer – Middle East, South Asia, and China, VFS Global, says, “With the year-on-year increase in visa applications from India, it is evident that foreign travel is no longer the domain of a privileged few. A large part of this growth comes from the smaller cities – more Indians from these cities are travelling abroad than ever before, and are keen to explore even off-beat destinations. 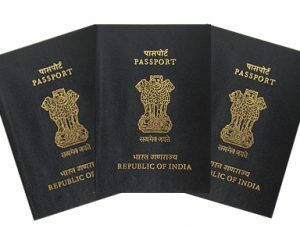 There is a greater comfort with visa application process as well today – the anxiety that people used to associate with the process has been significantly eased with options like personalised assistance, doorstep services and document upload assistance being offered at every step.” Visa application counts in the major cities such as Mumbai, Delhi, Hyderabad and Bengaluru grew consistently. Significant growth in visa application counts were witnessed in some other metros, such as Ahmedabad (32% growth in 2018) and Pune (20% growth in 2018). Steep year-on-year growth in count was recorded in Tier II cities, such as Jalandhar (66%), Chandigarh (54%), Pondicherry (43%), and Goa (45%).